Suppose you are using the "debug ip packet" command to view real-time traffic. How is the ping traffic processed on a Cisco IOS router, when pinging from a remote host to any of the router's local interfaces is performed? In which method of redistribution can metrics be lost? Why would you use the "ping" utility? A. The interface and line protocol are both showing as "up"
Which command do you need to use to display information for process-switched packets only? You execute the command "show ip route 10.1.1.1" and the response of the router is "% Subnet not in table." Which conclusion can be drawn from this response? Which command is used to troubleshoot the EIGRP stuck in active error? Refer to the network exhibit. You need to implement NAT to allow internal devices on your private network to access the Internet using a single public IPv4 address. You perform the NAT configuration given below. Users are complaining that they do not have connectivity to the Internet. What is the cause of this issue? A. The wrong inside address is identified. B. A NAT pool was not created. C. The ACL is not configured correctly. D. NAT is applied to the wrong interface. You would like for your spanning tree network to converge in one to two seconds; however, it currently takes upwards to one full minute. What should you check? A. Verify that BPDU Guard is configured. B. Ensure that PortFast is enabled. C. Ensure that Root Guard is enabled. D. Verify that RSTP is configured. A network contains eight access switches connected in a daisy chain. An excessive amount of packets entering the access layer do not emerge. Which feature would most likely remedy this problem? A. The third octet in the router ID references the router number and the fourth octet references VRF instance. B. The router ospf 1 vrf command configures OSPF process 1 for a VRF instance. C. IOS automatically deletes any preconfigured IP address when assigning VRF to the interface. D. The same router ID is configured for each instance of OSPF per VRF on the same router. E. A VRF includes an IP routing table and a derived forwarding table. Your network recently expanded and you have noticed that your RIPng routers are starting to fail when it comes to exchanging all routes. You suspect it is because the number of hops has increased. Which command will you use to confirm this? When you have established FHRP messages sent and received on all routers, but FHRP does not perform as expected, what should you do? You have just entered a network statement to enable OSPF on an interface. 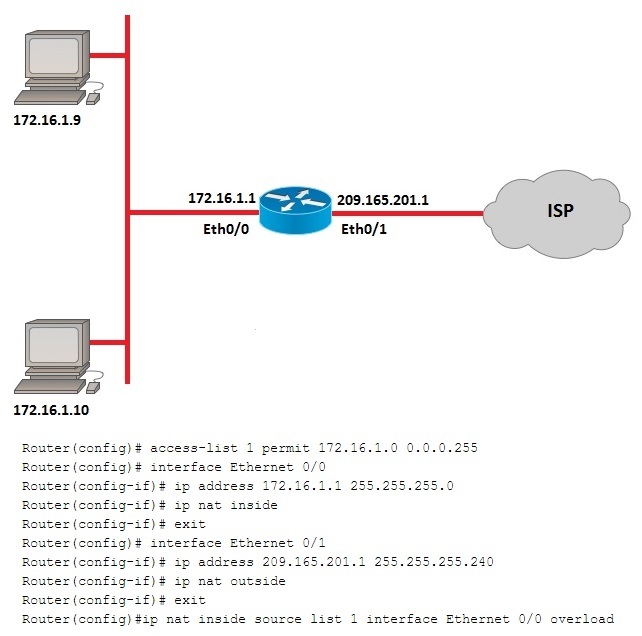 Which command is used to confirm that routes are being learned and entered into the routing table from the neighbor connected to the interface? You need to troubleshoot a connectivity problem with a Layer 3 EtherChannel between two switches. What should you include in your troubleshooting steps? A. Ensure that both switches are configured with an IP address from the same VLAN subnet. B. Ensure that only the interfaces that connect to end-user devices have PortFast enabled. C. Configure the UDLD protocol to operate between the switches. D. Use the show etherchannel load-balance command to determine which distribution algorithm is in use. What can you conclude from this output? A. The enable secret command was used to configure the password. B. Service password encryption has been enabled on the device. C. The Privileged Exec password is 106D000A0618. D. The username/secret command was used to configure the password. Suppose you have an NMS data gathered via SNMP with a sampling time of 30 seconds. Monitoring shows that interface FastEthernet 0/0 on a local switch is experiencing regular output queue drops. You suspect that there might be short bursts of traffic that reach 100 Mbps. What technology will you use to copy and inspect all traffic coming from, or going to the rest of the network through the interface FastEthernet 0/0? Which statement is true regarding EIGRP and ensuring a loop-free path? A. A loop-free path is ensured when the reported distance value from the neighbor is less than the feasible distance value. B. A loop-free path is ensured by properly configuring STP to manage the physical path in a given network segment. C. A loop-free path is ensured when the feasible distance value from the neighbor is less than the reported distance value. D. A loop-free path is ensured by properly configuring RSTP to manage the physical path in a given network segment. If there is no match in a route map sequence, what action is taken? You are troubleshooting an EIGRP network. Router R1 is advertising an unexpected metric to its neighbor routers: R2 and R3. All three routers have direct paths between them. The unexpected metric is causing router R1 to route packets an extra hop to router R2 to reach the destination network behind router R3. What is the most likely cause of this issue? A. An incorrect AS number was used with the ipv6 eigrp command. B. An offset was added to a routing metric. C. Unequal-cost load balancing was misconfigured. D. Equal-cost load balancing was misconfigured. A. Access control lists do not permit UDP port 53 packets. B. The stratum is too low. C. There is an NTP authentication mismatch. D. A high offset is between the server and the client. E. High CPU utilization is present. A router running the EIGRP, OSPF, RIP, and IGRP routing processes simultaneously has learned of various routes to the 192.168.16.0/24 network. When troubleshooting administrative distance on this router, which statement is true? A. The EIGRP (internal) route will be installed in the routing table since it has the lowest administrative distance. B. When the RIP route information is lost due to a disruption, the OSPF route will be installed in the routing table. C. When the EIGRP (internal) route information is lost due to a disruption, the OSPF route will be installed in the routing table. D. The RIP route will be installed in the routing table since it has the highest administrative distance.